It is a Four-Channel, Pluggable, LC Duplex, Fiber-Optic QSFP+ Transceiver for 40 Gigabit Ethernet Applications. 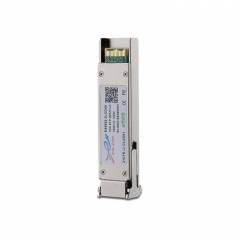 This transceiver is a high performance module for short-range duplex data communication and interconnection applications. It integrates four electrical data lanes in each direction into transmission over a single LC duplex fiber optic cable. 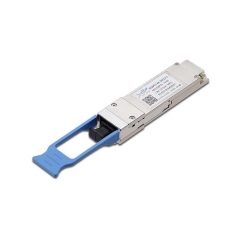 Each electrical lane operates at 10.3125 Gbps and conforms to the 40GE XLPPI interface. The transceiver internally multiplexes an XLPPI 4x10G interface into two 20Gb/s electrical channels, transmitting and receiving each optically over one simplex LC fiber using bidirectional optics. This results in an aggregate bandwidth of 40Gbps into a duplex LC cable. 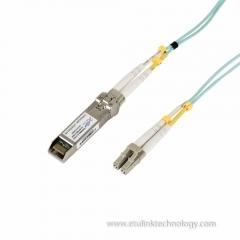 This allows reuse of the installed LC duplex cabling infrastructure for 40GbE application. 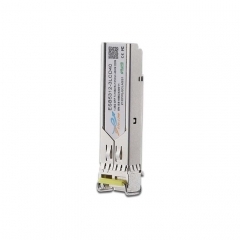 Link distances up to 100 m using OM3 and 150m using OM4 optical fiber are supported. These modules are designed to operate over multimode fiber systems using a nominal wavelength of 850nm on one end and 900nm on the other end. 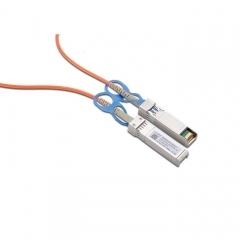 The electrical interface uses a 38 contact QSFP+ type edge connector. The optical interface uses a conventional LC duplex connector.